Laminates bring uniqueness, style, great aesthetics, and a touch of luxury to furniture, countertops and a host of other surfaces in your home. There are many fresh and creative laminate designs that you can incorporate into home decor to give living spaces a personalised appeal. Greenlam gives you a rich assortment of laminate designs and styles to complement every decor, theme, and style in an exquisite manner. Continuing on the subject, we present some fresh ideas to incorporate this versatile finishing material in residential properties. When working with laminates, you can be as creative and imaginative as you want. Premium laminates come in an exhaustive array of grains. Instead of installing them with the direction of grains going on in a single direction, you can install them in such a way that change direction and create attractive patterns and place focus on the desired elements. Greenlam has one of the biggest collection of laminates, which constantly features exclusive new designs. You can choose from a diverse collection of woodgrain pattern laminates. When choosing colors, rather than following the traditional approach of going for similar-hues, try experimenting with neutral-colored laminates by pairing them with bold and solid colors. The experts at Greenlam Industries can help you choose options that best compliment the existing theme of your property and introduce freshness to your decor. You can choose from array of solid and bold colors to a collection of functional colors. You can also experiment with custom/digital laminates which have digitally printed multicolor patterns, among other options. 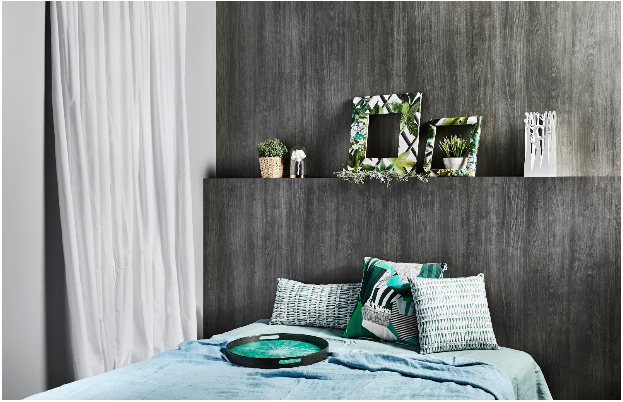 Designer laminates are also great for your feature wall. You can choose from fresh digital laminates designs from Greenlam Industries that offer you unmatched customization and enduring quality. Avoid solid colors that lack any detailing, even grooves, as they arouse little interest. Greenlam Laminates offers a rich selection of digital laminates with variety of designs in categories like abstract, retail, kafe kitchen, kids, flora etc. Introducing laminate designs in a residential or commercial property is no random affair. You need to adopt a methodical approach as with any other interior design requirement. Keep measurement ready at all times. Although you need to prioritise natural light, but make sure that artificial light does not get ignored. Decide on the colors you want to use, create a patchwork of colors, plan your furniture, and get down to work. If you are looking to make a statement with your interior design, your choice of laminate designs really matters. Greenlam Industries manufactures high quality laminate designs to craft premium interiors. Whether you need solid bold colors or digital laminate design, we have you covered. Browse through our laminate design collection that constantly features exclusive options. Send Us a Message about your requirement and we will take it from there as soon as possible. You can also reach us at +91-11-4279-1399.